Every fall, a friend of mine hosts a large group for a night of fun in front of a bonfire at Vala’s Pumpkin Patch. It’s a bit of a tradition now and people look forward to it. 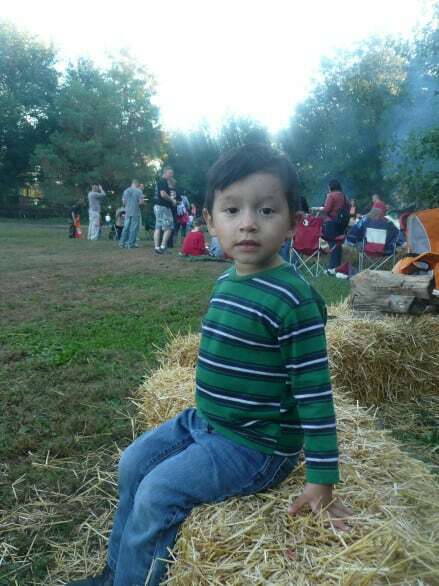 We started a similar night out with friends at Shady Lane Ranch, a family-friendly night that includes a bonfire AND a hayrack ride. 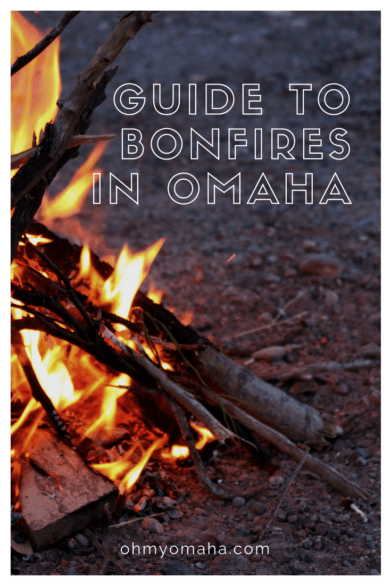 If you’re looking to create a similar tradition, here’s a list of places that let you have bonfires in Omaha (or nearby). The Fitch family invites friends to join them for a bonfire at Vala’s Pumpkin Patch every fall. You can rent a bonfire site, but everyone in your party will have to pay admission as well. Not a bad thing, since it’s a fun place with a lot to do, but it is quite a bit extra if all you really wanted to do was eat by an open flame. Campfire prices start at $55 on up to $300+ (if you’re renting the pavilion). You can get a discount, however, if you book for a Monday, Tuesday or Wednesday night. The price is for the campfire only; each guest has to pay admission. Admission for 2018 is $14.95/person on September weekends, then it goes up to $21.95 for Thursdays-Sundays in October. Discount admission for Mondays-Thursdays is $11.99 all season. Children 2 and younger are admitted free. Vala’s is located at 12102 S. 180th St., Gretna. Hours are Sunday-Thursday, 9 a.m. to 9 p.m., and Friday-Saturday, 9 a.m. to 10 p.m. Details here. Before the bonfire, your group will have fun with this Vala’s Scavenger Hunt. Wenninghoff’s Farm gives the option of adding a bonfire to a party package for an additional $25. See the pumpkin patch page for party and group options. The pumpkin patch/farm is located at 6707 Wenninghoff Road in Omaha. Wenninghoff’s pumpkin patch is seasonal and typically runs from the end of September until Oct. 31. Hours are Monday-Friday, 9 a.m. to 7 p.m.; Saturday and, 10 a.m. to 5 p.m. Details here. This place is a lot of fun for a big group, but it requires advance registration and a group of at least 2-. Your group will get an hour-long hayride through 360 acres of nature and then get dropped off at your campfire site. The horse ranch is located at 17744 Shady Lane, Council Bluffs, Iowa. For the life of me, I cannot recall how much we paid for a bonfire and I can’t find the information anywhere online. I’d venture to say reserving one was about $200? Details here. Evening campfires are $50 plus the cost of admission for each person, which ranges from $7-$13 (there’s a minimum of 15 people per campfire and kids 2 and younger are free). Hayrides are an additional cost, and during the Halloween season, you can opt for the “haunted hayride” on the weekends. Bellevue Berry Farm is at 11001 S. 48th St., Papillion. Details here. A friended mentioned this pumpkin patch to me. This Blair pumpkin patch and corn maze offers bonfires for $65. Reservations needed. They’re open seasonally, starting early September through Oct. 31, Monday through Thursday from 10 a.m. to 3 p.m.; on Fridays and Saturdays from 10 a.m. to 10 p.m.; and Sundays from 10 a.m. to 7 p.m. Admission to the Skinny Bones is $10 during the week, $13 on Fridays through Sundays; kids 2 and younger are admitted free. Admission includes access to all attractions. Details here. Do you have any favorite bonfire places I’ve missed?